At least 124 people were arrested, while 113 others were detained over the past 24 hours, according to Turkish news agencies. 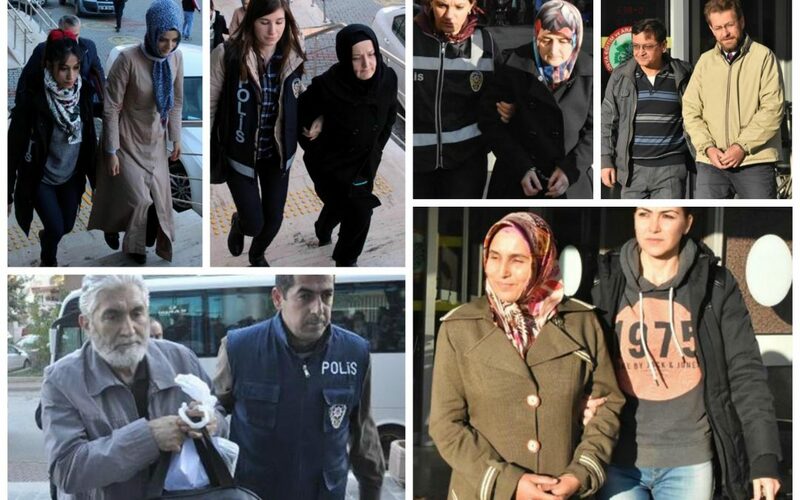 Detentions and arrests were made in at least 37 provinces across Turkey. With most of the arrestees being teachers, those arrested over the past day also included courthouse and prison personnel, businessmen, private sector employees, civil servants, police officers, lawyers, and a judge. Among those detained are academics, teachers, police officers and a doctor. Meanwhile, Turkey’s Interior Ministry on Thursday dismissed a total of 1,218 officers from the Gendarmerie Forces Command due to their alleged links to the Gülen movement.